Documentarians have a job that is more complicated and nuanced that those of ordinary film makers. They must attempt to educate as well as entertain. So for those people who have an interest in the nation’s armed forces and in history there are documentaries about military and war. Some of these documentaries are quite enlightening for those who have not served. Check out our list of the top documentaries about this nation’s military. The War: This seven-part series is about World War II and is about the distressing, personal accounts of soldiers from standard American towns. It was made by Ken Burns noted documentarian behind the award winning PBS series on The Civil War. Restrepo: Directed by Tim Hetherington and Sebastian Junger this documentary is about one year with a platoon fighting in the deadliest valley in Afghanistan. It features: The Men of Battle Company 2nd of the 503rd Infantry Regiment 173rd Airborne Brigade Combat Team, Juan ‘Doc Restrepo, Dan Kearney and LaMonta Caldwell. Legion of Brothers: This documentary gives viewers access to the U.S. Special Forces and their efforts in Afghanistan to overthrow the Taliban immediately after 9/11. Great Raids of World War II: This documentary features six stores of Allied military operations which took place during World War II. It is told through archival footage and veterans who survived the battles. Escape from Marawi: Produced by ABC News Australia, this documentary tells the story of ISIS’ move into Southeast Asia as it attempts to gain territory and membership. It also tells about those who are trying to prevent this overthrow. Secrets of the SAS: In Their Own Words: This four part series explores the Special Forces through candid interviews with former members. It relates their human experiences serving with the top secret, military unit. Yes, all these documentaries attempt to capture some aspect of war and military life. Some are quite successful at capturing the sacrifice that must be made in order to protect freedom. That is why we have great pride in those documentaries that do capture that experience and relate it to the public as only skilled documentarians can do. We also have pride in the organizations that support us in our efforts to supply our customers with USMC hats and other Marine Corps merchandise from our eagle globe and anchor store. These items are about expressing pride in our nation’s armed forces and the principles that they represent. May 1st: Loyalty Day – Which seeks to reaffirm loyalty to the US. May 7th – National Day of Prayer – Designated by the United States Congress (36 U.S.C. § 119). May 8th – Military Spouse Day – This day honors the spouses of servicemen and women who also make sacrifices. May 9th to 17th – Armed Forces Week – This week starts on the second Saturday of May and ends on the third Sunday of May. May 16th – Armed Forces Day – This is a part of Armed Forces Week and celebrates all branches of the military. May 29th – Memorial Day – The holiday that most civilians are familiar with, Memorial Day is the only US holiday that recognizes those servicemen and women who have – all throughout US history – made the ultimate sacrifice. It began shortly after the Civil War. For this reason, the month of May is known as Military Appreciation Month. Recognized in 1999 by Congress, Military Appreciation Month is designed to give the public the opportunity to demonstrate their appreciation for the important role that the Armed Forces play in maintaining our freedom and independence. As such, many retailers offer discounts and special promotions for members of the Armed Forces. There will be special events held throughout the country as part of this recognition. Of course, at eMarine PX our appreciation for members of the Corps is year round. 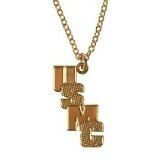 We sell a line of, Marine Corps clothing that are authentic and made in the USA. Our Marine Corps clothes are appropriate for any active duty or retired member of the armed forces who wants to show his/her pride all year long and not just during a single month. From its first amphibious landing in the Bahamas in 1776 to the Invasion of Iraq to the present, the Marines have been an integral part to protecting our rights as a sovereign nation. Not only is there the history of its battles that rings across time, there is also the ethos of the Corps that still reverberates all throughout our culture. However, that history and that ethos can best be related by those who serve or have served. This is why the National Museum of the Marine Corps in Quantico, Virginia mission is so vital. It seeks to view the history of the Corps, and therefore America, through the eyes of the Corps itself. It contains artifacts, documents, etc., that tell the fascinating story of the Corps and it explores where the Marines are headed in the future. Vehicles, uniforms, weapons, personal effects from conflicts dating back to the Civil war and beyond are just some of the artifacts the museum holds. The museum is situated on a 120,000-square-foot facility and is supported by a public-private partnership between the U.S. Marine Corps and the Marine Corps Heritage Foundation. The museum is designed for families and individuals, civilians and service men and women alike and receives visitors from all over the country. The facility even holds a rifle range making the trip there experiential as well as educational. There is no admission to the museum and parking is free in order to make the facility even more accessible to the public. Its current galleries include The American Revolution, Global Expeditionary Force, World War I, World War II, The Korean War and Vietnam. Finally, formed by Captain Samuel Nicholas, by a resolution of the Second Continental Congress on 10 November 1775, the Marines as an institution boast a history that few other Americans institutions can. The National Museum of the Marine Corps proudly preserves and depicts this history and is even in the process of expanding. We could not be prouder of the aims of the museum and the fact that it seeks to educate all Americans on the contributions, sacrifices, and victories of the Marines and that this tale is all told from the perspective of those who have served. This multimedia, experiential facility pays tribute to the same ideas that our customers do. That is why we are proud to display Marine Corps jackets, Marine Corps jewelry and other items that symbolize this vital branch of the armed services.